Which Johto Bug Type Pokémon is Your True Companion? Anaerobic, build that muscle mass! I do not exercise, thank you! Aerobic, keep that heart rate up! Your best fit bug type companion is Ledian! Quick and armed for the Gods, Leadian is a pokémon you can always count on. Ledian has as many hands for which to protect you from foes. Do not get too confident, as Ledian is better for support than actually fighting in combat. These same qualities exist inside you which make Ledian a great pokémon to train! Your best fit bug type companion is Yanma! You often feel underestimated and underappreciated. The good thing is that you are not alone as many yanmas have been overlooked by others. The thing is, most of what you feel is an internal struggle as you are a beautiful person on the outside as much as the inside just like Yanma. There is not a better pokémon for you to train that understands this quality than Yanma. Your best fit bug type companion is Forretress! People claim you do not open yourself to vulnerability. This is not true to your real feelings. Those feelings are marked with a desire for things to be much simpler than they are in life. You share this trait with Forretress. Forretress is the perfect match for a trainer of your caliber because you both can appreciate the simple things! Your best fit bug type companion is Scizor! You tend to stand tall in the chaos that surrounds your life. You need a pokémon that can understand this quality of life and help keep you standing strong. Scizor has the endurance you are looking for to face those deep rooted problems, and the strength to punch away your foes. Just remember that a pokémon of this nature can also be difficult to train and gain trust. You will have to prove your own eternal strength to pass it's test before the real bonding can begin. Your best fit bug type companion is Ariados! You seem to have needs that appear to come across as overbearing. Honestly, though, what you need most of all is a pokémon that understands the neediness is all a perspective. Just like true strength, you are stronger than you appear. An Ariados is the perfect pokémon for you to train because it has it's own niche and fighting style that relies on taking its foes off guard. The element of surprise is true power and will help you gain the respect you deserve from other trainers. No longer will you be label as un-viable and needy! Your best fit bug type companion is Shuckle! It can be difficult to get out of your comfort zone, but when you do you surprise everyone with your accomplishments. You understand what it is like to fear the world. Shuckle is a pokémon that needs you as a trainer and not because it is not capable but because you are rare in a trainer. Not many trainers can understand the abnormal traits that make Shuckle a foe to avoid. Take your time and utilize the unique qualities given to you. You and your Shuckle will climb over great feats once you begin your journey together and leave the comforts behind. Your best fit bug type companion is Heracross! 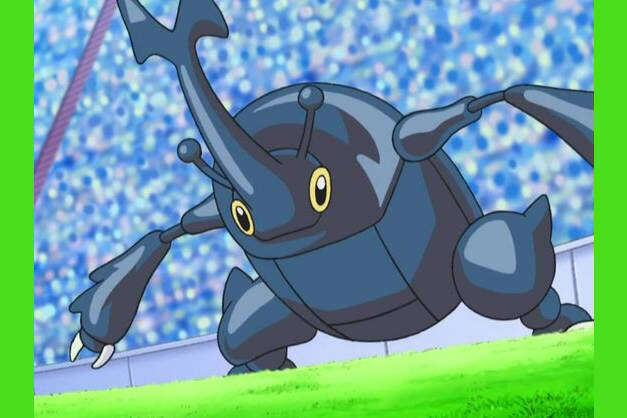 Heracross is a pokemon that does not have the brains to support its strength and needs someone who is balanced in all regards. If you were too much of a hot head, the two of you would fight for hours. If you were too much of an encyclopedia, you would make no sense to Heracross. The vary balance between brains and brawn is what makes you a compatible and balanced match. That isn't to say that a heracross is easy to train, but that having a variety of skills will help you befriend and understand the nature of this pokémon. Take this quiz to find out which Johto bug type Pokémon would complete you most as a trainer!